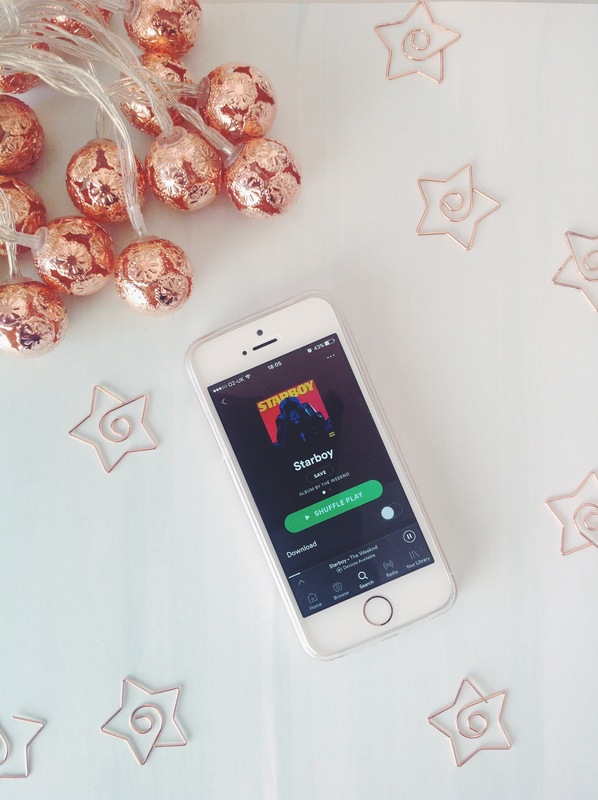 So I thought I’d do a little ‘Favourites Of The Month’ blog post. I know the last one I did incorporated the WHOLE of last year but I like reading what people have been loving over the months so I thought I’d join in. Again. Once again, I’ve categorised (just like my October Favourites oh so long ago) because otherwise this would be a veryyyyyy longgggg post. I believe this could be a new category but one that is here to stay. I introduce you to the Real Techniques Sculpting Brush a.k.a my baby. 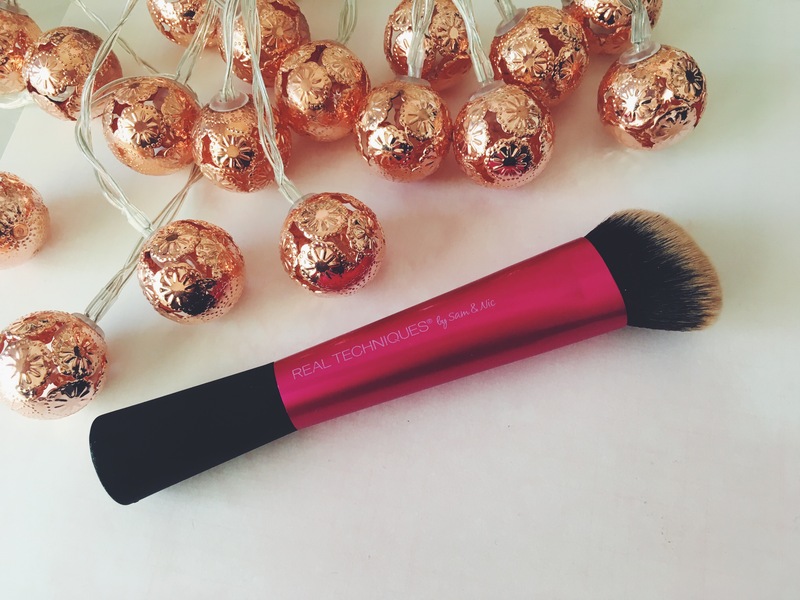 It’s literally the most amazing brush ever. I’ve mentioned in my fave February face. Check it out here. It’s so dense and the perfect shape for blending your contour into the most natural bronze EVER. Hello cheekbones. I honestly love it. Plus you can get it in TJ Hughes for something like 6 quid. 6 quid. Do it. You won’t regret it. Okay so. Here’s this dead interesting story. I used to use this foundation about 2/3 years ago. I loved it. But for some reason I never repurchased. I just continued on my foundation journey to new and exciting things. Until now. We’ve come full circle. And I’ve never been happier. This foundation is literally one of the best drug store foundations I’ve ever used. My skin is GLOWING when I put this on. It feels so much more lightweight this time round. 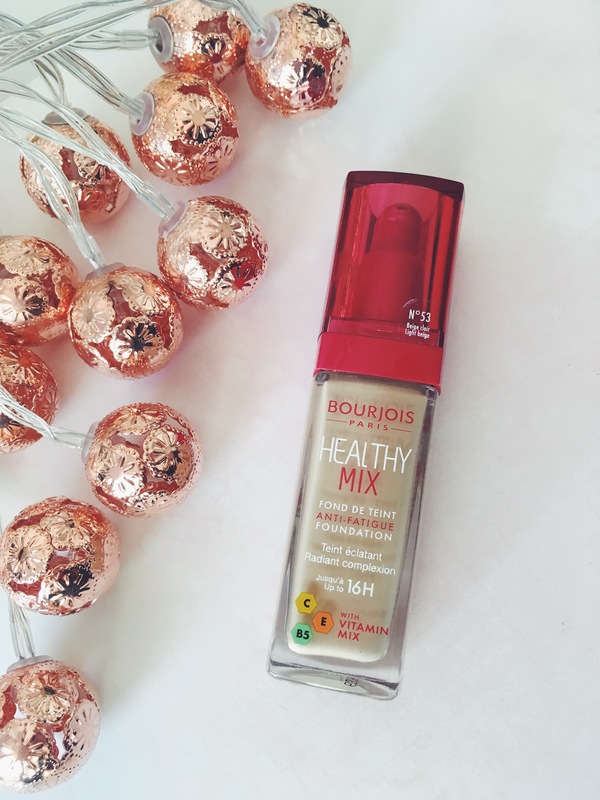 So much more blend-able and weightless yet still gives you the right amount of coverage. It contains a lovely little blend of vitamins C, E, and B5 which gives your skin an anti fatigue effect and keeps it radiant. Yes it does. For a tenner, you’re doing yourself ALL the favours. Now I have a trio. I’m sorry I just couldn’t pick one. They all play a part in my skin being pretty bloody great. I know I recently posted an eczema blog post about the products I use to keep my skin at bay and the face wash was mentioned. L’Oreal are literally smashing it with their skincare at the minute. (Same goes for Garnier in my opinion.) They’ve recently bought out a trio of face masks and a trio of face washes and let me tell you. They’re worth all the hype and more. 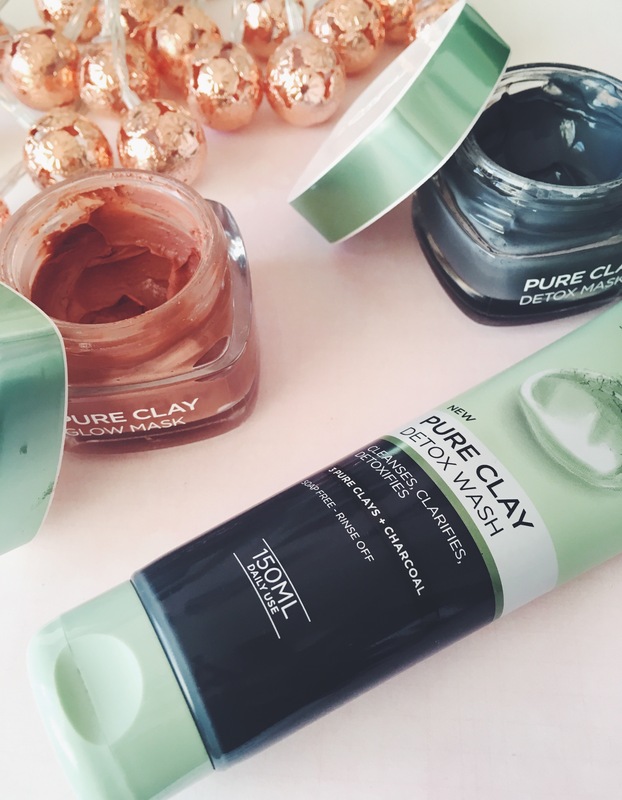 I purchased the pure clay detox mask and pure clay glow mask alongside the detox facial wash and I absolutely love them. After regular use (as recommended on the tubs) I have noticed such a difference in how smooth and brighter my skin looks and feels. Although the charcoal in the mask and facial wash can dry my skin out a bit (because I deal with such dry skin anyway) I do need to moisturise, but the results I’m getting..it’s worth it. My skin looks purer, brighter, smoother, more even. Just better. They’ll definitely be a repurchase. If you want to know more about the facial wash click here. If anyone would like me to do more in-depth review of the products then let me know! 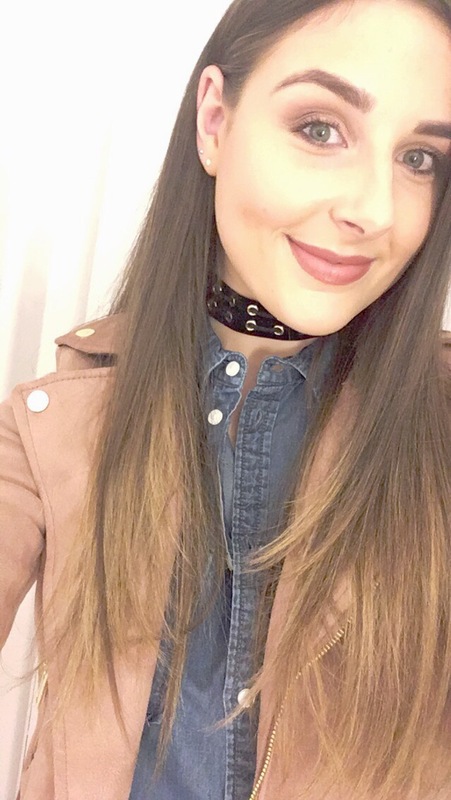 I am absolutely loving chokers at the minute. Once again, these are a trend that have come full circle as I was definitely wearing them all over summer 2015 (and most definitely in the 90’s when I was a spice girl.) The high street are killing it with affordable and stylish chokers. I’m especially loving Primark,H&M and Zara. I used to be a fan of dainty little chains but I just can’t get enough of chokers at the minute. I don’t think there’s been a day off where I haven’t worn this jacket. Primark just pull it out of the bag sometimes. Like this faux suede dusty pink biker jacket. For £25. Absolute bargain. It’s such good quality (my sister owns a Zara one in a grey colour for a considerable amount more and you honestly can’t tell the difference in quality by looking at them.) It literally goes with everything in my wardrobe (it’s all black so it just adds that perfect pop of colour to my very drab colour scheme) I feel chic, classy and cool and it’s all thanks to Primark. Can you believe it! Here’s me modelling it…oh and with a choker too! Would you look at that. So they’re my favourites of March. I hope you enjoyed them as much as I have! I adore the health you mix foundation too! It seems amazing as well. Haven’t tried the face masks but they are so hyped I may have to. Love monthly favourites!